A Supreme Court bench of Chief Justice Dipak Misra, Justice DY Chandrachud and Justice AM Khanwilkar, on Monday heard a string of writ petitions praying for the substitution of the prevailing system of ward-wise revelation of election results with a regime of cluster counting. Advocate Gopal Sankaranarayanan, appearing on behalf of BJP leader Ashwini Kumar Upadhyay, one of the present writ petitioners, sought to submit, “it would be possible by the interpretation of Rule 59A of the Conduct of Election Rules of 1961”. It may be noted that the aforesaid Rule provides that where the Election Commission apprehends intimidation and victimisation of electors in any constituency and it is of the opinion that it is absolutely necessary that the ballot papers taken out of all boxes used in that constituency should be mixed before counting; it may, by notification in the Official Gazette, specify such constituency. 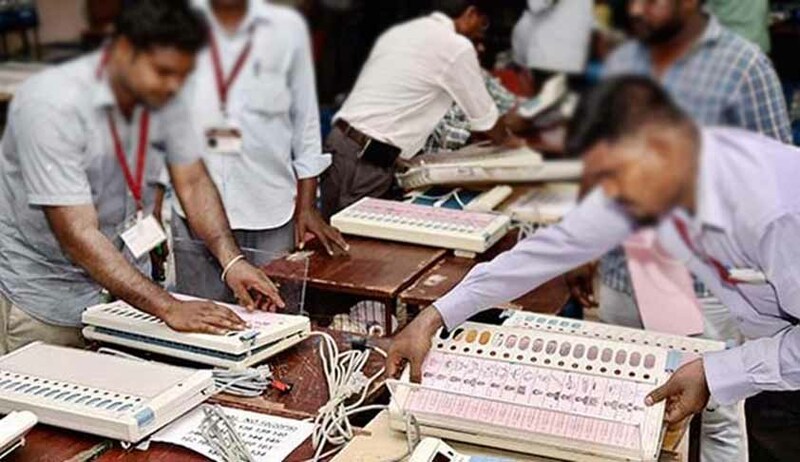 Justice Chandrachud mentioned Rule 66A of the Rules of 1961 dealing with the counting of votes where electronic voting machines (EVM) have been used. At this point, Sankaranarayanan retorted, “The voting machine is not a petrol can that there could be such outflow”. Continuing, the ASG stated, “The provision of Rule 59A is not for every constituency. The mixing of ballot papers is envisaged only in such constituencies where the Election Commission does not deem fit booth-wise counting”. The bench granted time to the Election Commission to file an affidavit in reply. The counsels appearing on behalf of the petitioners submitted, “The method of ‘totaliser’ should be employed for counting the votes in Parliament, State Assembly and local bodies’ elections. It would inculcate a sense of security among the voters and would serve as a check against their victimisation if any of the other candidates comes to power. When the voting pattern at a particular polling booth is capable of being identified, it gives rise to local problems”. ASG Maninder Singh had earlier conveyed the stance of the Centre of opposing the introduction of ‘totaliser’, submitting, “The issue regarding ‘totaliser’ was discussed by a Group of Ministers on September 7, 2016. All national political leaders , as well as the Election Commission of India (ECI),were consulted. The Union of India is not in favour of the introduction of ‘totaliser’”. Attorney General (AG) KK Venugopal stated that he has a different view on the issue. “Prior to the introduction of Rule 59A of the Conduct of Election Rules of 1961, the practice followed by the ECI for the counting of votes was of mixing all ballot papers,” he said.